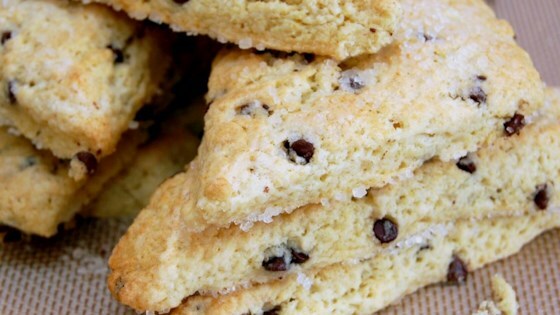 "A basic scone recipe that really does the trick. Tried and tested through 3 generations of kids. Simply the best anywhere!" In a large bowl, mix the flour, sugar, baking powder, cream of tartar, and salt. Cut in the butter. Stir the sour cream mixture and egg into the flour mixture until just moistened. Mix in the raisins. See how to make top-rated and time-tested scones.